How do I update my email on my account? I lost my password. How can I recover my account? 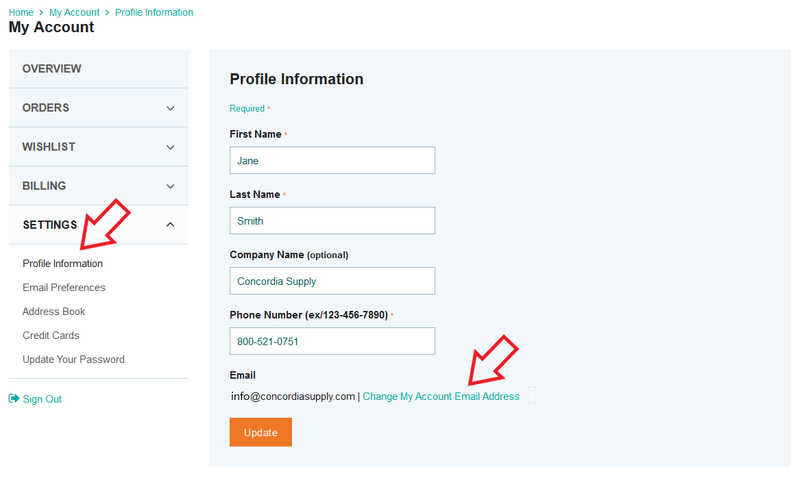 You can update your account email address by changing your profile settings through our website. This article helps take you through the process step-by-step. Log in to your account using your existing account email address. On the left-hand side of the page, click on Settings > Profile Information. Click on "Change My Account Email Address". Enter your new email & confirm your current password. 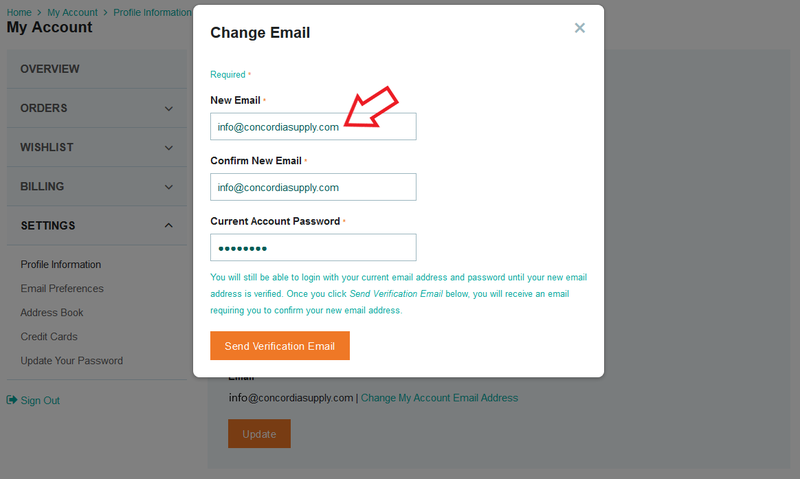 Check your inbox for an email titled Verify your email address with Concordia Supply. Verify your new email address change by clicking on the verification link in the email you receive. You will now be able to log into your account using your new email address. To reset your account password instead, click here. If this article didn&apos;t resolve your issue, you can contact our Customer Service team via Live Chat, info@concordiasupply.com, or phone at 1-800-521-0751. Our office hours are Monday - Friday, 7am-3:30pm PT.